The state-run Xinhua News Agency says these wage hikes follow similar actions elsewhere in China, "where fewer new workers are entering the labor force," and local governments are dealing with labor shortages. The Chinese economy, which has been rising steadily for decades, has in some ways become a victim of its own success. While hundreds of millions of Chinese have been lifted out of poverty since the 1980s, many more have been left behind economically. "The central government is looking to equalize, to take the poorest people in China and move them up," says Stephen Orlins, president of the National Committee on U.S.-China Relations. "So what they're seeking to do, and what they have been doing since 2008, is raising the minimum wage.... So this is part of a process -- this is not a one-time thing." At the same time, China's decades-old "one-child" policy, originally implemented out of concerns of a runaway population explosion, is also affecting its national labor force. "The work force, the 18-to-30 demographic, has peaked," Orlins noted. "There's a lot of competition for labor now. That is driving up prices very, very significantly -- much more so than government edicts or minimum wages." And late last year China announced it was easing the "one-child" policy. A raising of minimum wages also comes into play in China's newly announced urbanization plan, an ambitious campaign to move tens of millions of Chinese out of rural areas and into cities by 2020. 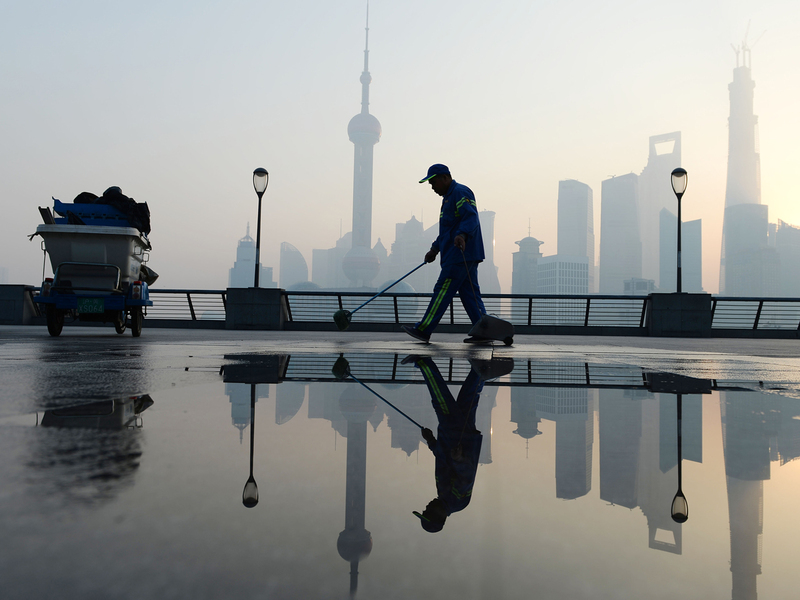 And Chinese officials, Orlins says, are hoping urbanization will increase the country's GDP, as they look to shift China away from investment-led growth and more toward domestic consumption. "An urban worker is much more productive than a rural worker," he said. "They go to work in industries where they produce much more GDP than the more inefficient rural workers." Orlins believes the minimum wage rise in China will not affect the U.S.-China trade deficit. But he notes that, much like American manufacturers moved their jobs overseas to lower-income markets, Chinese manufacturers are now looking elsewhere for less expensive work forces. It's even possible that Chinese manufacturing could end up going to Vietnam, Myanmar and other Southeast Asian nations. "They have begun to look," he said, "but you need an infrastructure to support those kinds of industries. You need to be able to get them to port, get them into ships and to ship them to where they're going. The problem with competitive countries is, even though they have lower labor rates, they don't have the infrastructure to support those kinds of industries. So until that infrastructure gets built, we're going to see a minimal shift."